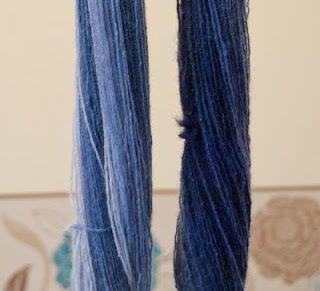 Continuing from the last post in which I tried thwacking a sample skein for the first time, here are the pictures from my Ravelympics (aka Ravellenics) Handspun Heptathlon. The fibre is spiral-dyed fibre which I bought from Marianne / picperfic at Fibre East. 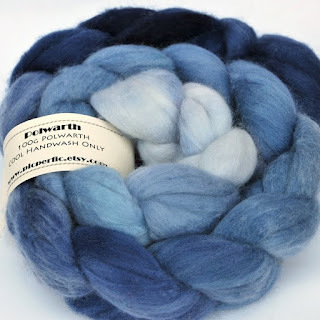 The colour graduates from dark to light through the length of the roving and this graduation will of course be reflected in the finished shawl, to be knit using singles. 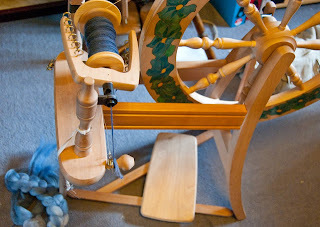 I finished with 350yds after spinning, exactly right for my planned Oaklet Shawl. 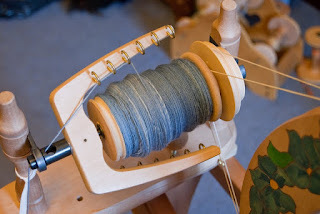 The whole 100g fit onto one bobbin - just! Just as I'd practised (see sampling for lace shawl), I set the singles by fulling them. 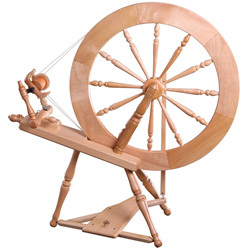 This involves switching from hot to cold water and bashing the skein against a hard surface. Everything you'd avoid doing when scouring / washing a fleece. 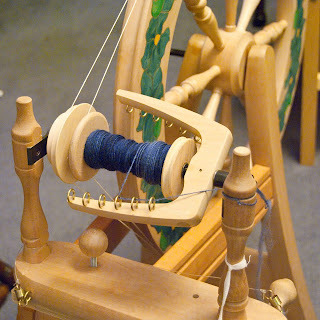 But here, a little bit of felting plumps up and softens the yarn a little and sets it. There are a lot of photos here so I'll split the knitting into a separate post.